Shoreline Stripes 30% Off At Gymboree! You are here: Home / Great Deals / Shoreline Stripes 30% Off At Gymboree! 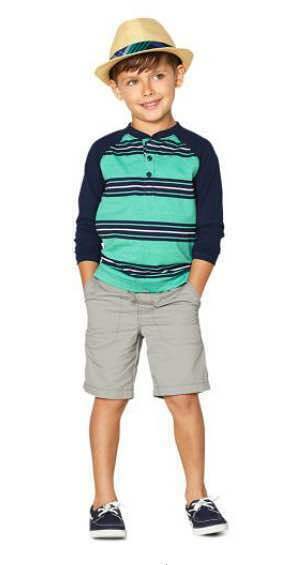 You can get 30% off at Gymboree on the Striped Raglan Tee, Ribbed Waist Shorts and Canvas Boat Shoes for your young man! Get FREE Shipping on orders over $75!